Travel Digital Alarm Clock Only $4.90 Plus FREE Shipping! 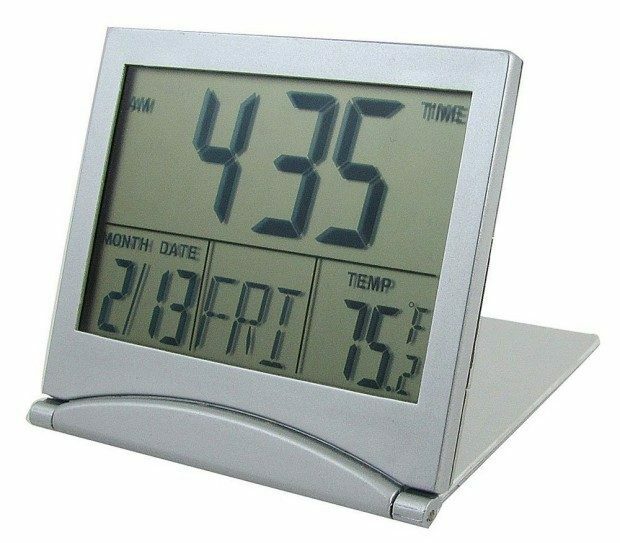 You are here: Home / Great Deals / Amazon Deals / Travel Digital Alarm Clock Only $4.90 Plus FREE Shipping! Smartwatches and smart phones aside, I still want a bedside clock to travel. Not the one in the hotel. One that is a known quantity. This travel clock has just the right features and folds up slim! Get the Travel Digital Alarm Clock (includes Calendar & Temperature) for only $4.90 Plus FREE Shipping!